CEDAR RAPIDS, Iowa (November 9, 2018)–David Wieseneck, former chef and owner of The Motley Cow restaurant in Iowa City for over 15 years, has been named chef de cuisine of The Class Act Restaurant in Cedar Rapids, Iowa. Wieseneck was most recently sharpening his creative edge at Maggie’s Farm Pizza in Iowa City, and now Class Act Restaurant guests will have the opportunity to experience both his culinary creativity and passion for local ingredients. “I’m excited to be a part of the Kirkwood culinary team,” said Wieseneck. In addition to the talents of Chef Wieseneck, The Class Act has redesigned their dinner menu to feature shareable, seasonal plates. This also includes a classics menu that will continue to offer all the traditional items that diners at The Class Act have grown to love. The Class Act Restaurant is located within The Hotel at Kirkwood Center at 7725 Kirkwood Blvd SW in Cedar Rapids, Iowa. The restaurant serves breakfast, brunch, lunch, and dinner daily. 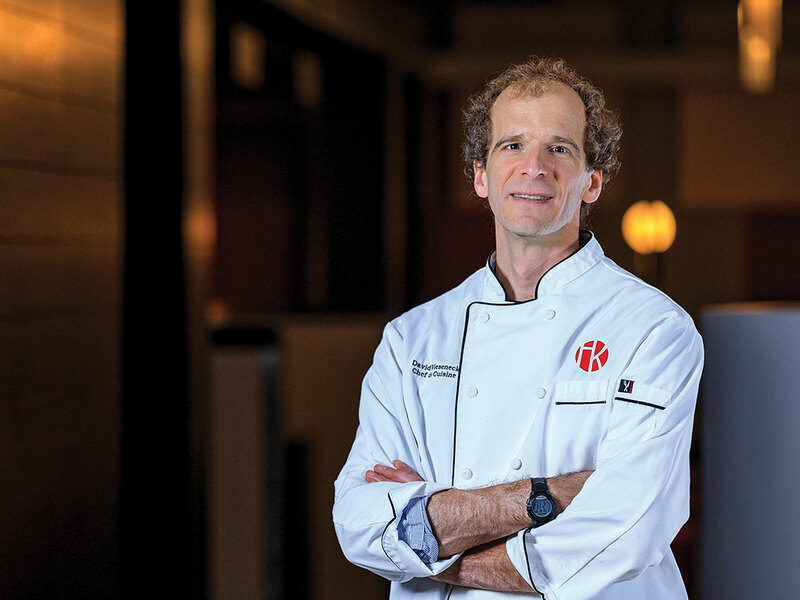 As the only luxury-teaching hotel of its kind in the nation, The Hotel at Kirkwood Center and Class Act Restaurant prepare professionals to lead the global hospitality industry. More information is available at (319) 848-8700; or via the web: www.thehotelatkirkwood.com and www.classactdining.com.